Írta: Káli-Rozmis Barbara 2017. 01. 22. Elisabeth undoubtedly loved her dogs, which followed her through the rooms of her homes. She even had a lot of photographs taken and paintings made of her favourite ones. The Empress had more photos with her dogs than with her nuclear family. It is important to note that Elisabeth had more photos even with her siblings than with her husband or children. One of her favourite breeds was an Irish wolfhound, the first puppy of which was given to her by Queen Victoria. This was the first dog which she named Shadow. It is highly likely that at least two of her later dogs inherited this nick (Shadow). A special man was employed to care about the royal dogs. This " position" was often the object of ridicule at the court. According to the sources, the Empress did not have only one but more, at least two Irish wolfhounds - the colour of their fur was quite similar. Elisabeth was said to prefer larger dogs, however, several photos were taken of her with smaller ones as well. What is more, there are some in which the smiling Sisi can be seen. Elisabeth's son, Rudolf, the Crown Prince remembered his hounds in his last will. He must have inherited his passion for dogs from her mother along with several features of his personality. The Emperor was not particularly fond of dogs. Although many pictures of Sisi and her dogs have survived, we do not know or do not know with certainty the names of the dogs that are in the photos. The Empress must be seen with Houseguard, a light-coloured Irish wolfhound in the photograph below (taken by Emil Rabending, 1865-66). In addition to the already mentioned nicks, Shadow and Houseguard, which must have been the nicks of more of her dogs, other names are also known: Dragon, Roma, Fanton, Morphy, Hamlet (Note: Elisabeth loved Shakespeare’s dramas, particularly Midsummer Night's Dream) and Platho. Two of Sisi’s favorite dogs, Shadow and Platho were buried next to each other in the garden of the Royal Palace of Gödöllő. There is an old photo of their gravestones, bearing their names. 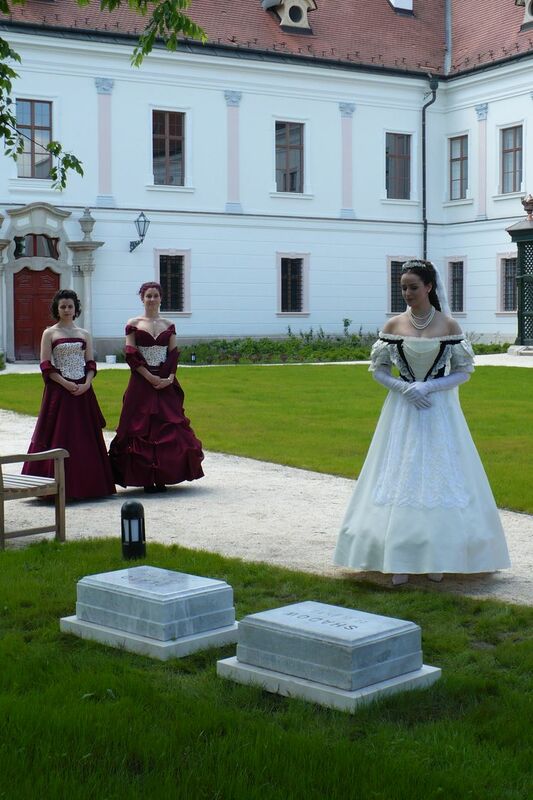 Unfortunately, the one of Platho disappeared during the troubled years of the palace but in 2010 a reconstructed one was placed onto the original resting place. 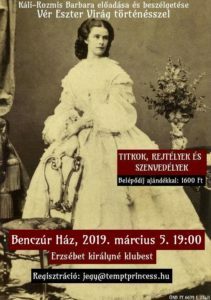 János Papházi, the head of the museum of the Royal Palace of Gödöllő, said to a website, műemlékem.hu, that from the surviving descriptions it was impossible to determine with certainty what kinds of dogs had been buried in the palace garden. Shadow died on 21 November 1875 but Sisi had two dogs with the same name: an Irish wolfhound and a Neapolitan Mastiff. Platho died on 30 October 1881, according to the sources, it was a good shepherd dog.